Back in 1959, before he became as famous as he was at his death last year, illustrator Gorey selected 12 classic horror tales for this delightfully eerie anthology, which stands on its own merits as a historical introduction to the genre. But it’s also a great entry into the warped sensibility that animated Gorey’s twisted genius for densely illustrated narratives of absurdist dimensions. The classic yarnspinners are well represented here: M.R. James’s tale of evil turned against itself; R.L. 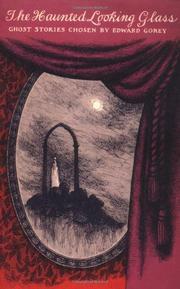 Stevenson’s mystery of badness avenged; and Bram Stoker’s tale of a house cursed with madness. Creaky and creepy houses figure into most of these stories, from Algernon Blackwood’s haunted urban rowhouse to R.H. Malden’s provincial gothic chiller. The bonus: each story begins with a Gorey illustration.